Larry Bird versus Magic Johnson. Wilt Chamberlain versus Bill Russell. LeBron fans versus Kobe fans. We’re talking about some of the greatest rivalries in NBA history. But now that it’s 2018, the ​Golden State Warriors have no competition (at least when ​Stephen Curry is on the floor) and ​LeBron James is the undisputed best player in the league. What will be the defining rivalry of this era? ​Joel Embiid versus his very own ​Philadelphia 76ers. That’s what. 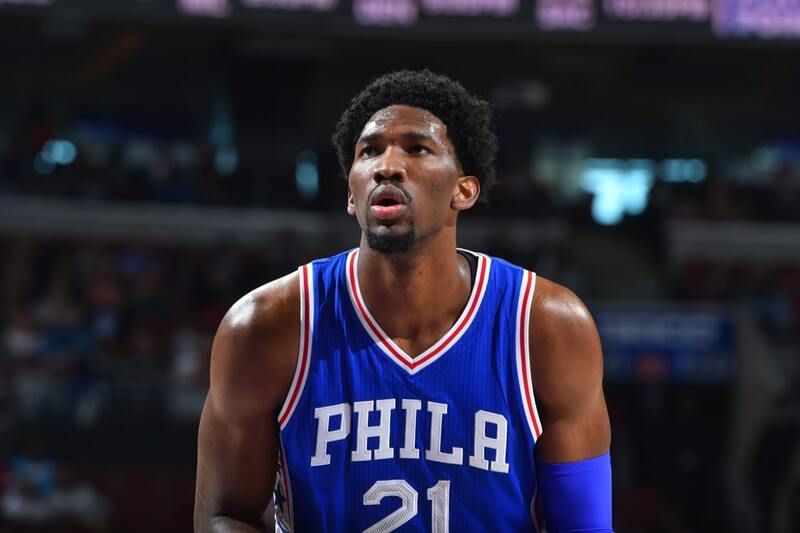 Joel Embiid has filed 8 new trademark applications for TRUST THE PROCESS. The filings claim that Embiid plans to sell everything from non-alcoholic beverages to toys using the phrase. The 76ers just filed a TRUST THE PROCESS trademark 2 months ago. “Trust the Process” was a refrain used to refer to 76ers general manager Sam Hinkie’s methodical tanking strategy that allowed the Sixers to grow into an Eastern Conference contender. But it was actually Embiid, who was a draft choice of Hinkie’s, who first popularized the slogan as such. Since being drafted, Embiid has made “The Process” his nickname, and has been seen on his social media platforms expressing his love for the now-famous phrase. Why the 76ers think they should have the trademark over Embiid, I do not know. Not only is Embiid the originator of the saying, but the 76ers have done everything they can to not be linked to the phrase in years past. One of the reasons Philly let go of Hinkie was because he was trusting the process a bit too much. The Sixers need to step off on this one.